Are you looking for best android Emulator for PC? Then you are at the right place. Today, in this post, I have compiled a list of few best Android Emulators for PC. 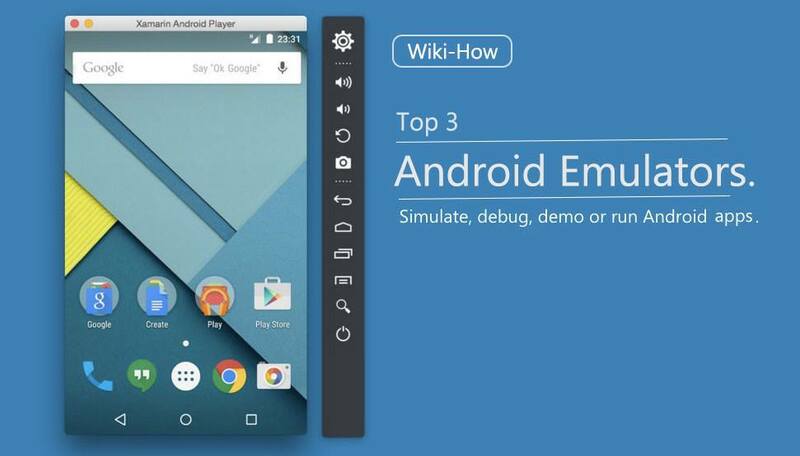 Many developers use Android Emulator so that they can check and test out their games using a mouse and keyboard, or someone may use an Android emulator to run Android apps on their desktop. There are a lot of uses of Android emulators these days, they come in real handy. However, there are a lot of emulators in the market and it is pretty hard to choose from which is the best one for you. Thus, I have a compiled a list, so that you can easily choose an Emulator according to your needs. Check out Drastic DS Emulator to run Nintendo games in your Android smartphone. Drastic DS Emulator apk is an advanced emulator for android which is able to run your favourite Nintendo games. The first Emulator for android that comes to any experts mind is BlueStacks. BlueStacks has been in the market for a long time and it stays all up to the expectations. BlueStacks is a fast and stable Android Emulator for PC. BlueStacks has a lot of features, which are top-notch and work flawlessly. BlueStacks supports multitasking of apps and has in-built functions like shaking the screen, automatically setting the location, etc. which it did not have in the previous versions. BlueStacks is free to use with an optional 2$ subscription per month. Next on my list of emulators is an entirely free emulator called Andy. Andy can easily run all of your productivity, music, gaming and day-to-day apps easily. The apps run flawlessly without any issues. It is quite similar to BlueStacks. It is a suitable replacement for BlueStacks. As I have mentioned earlier, Andy is entirely free and does and works pretty well. Genymotion is an Android Emulator specifically geared towards developers. It allows an developer to test their apps and games on a variety of android devices without actually owning them. You can also configure the emulator for a variety of versions of android to help suit your needs. For example, you can run Android 5.0 on MotoX Play or you can run Android 6.0 on MotoX. The choice is yours. You can easily switch between devices too. Genymotion is not recommended for normal users. It is purely focused towards developers. The emulator is free to use with some paid options. This was a short list of Android Emulators for PC which was handpicked by me. I hope you will find a appropriate Emulator according to your needs. If you have any queries or concerns regarding any of the emulators feel free to drop your query down in the comments and I’ll try to resolve it as soon as possible. You can also email me for a quick response.